August is about to finish, where has this year gone ? It’s been a strange and difficult month, struggling with pests in the garden and the unusually changeable weather. Some parts of the garden have thrived some have positively sulked. 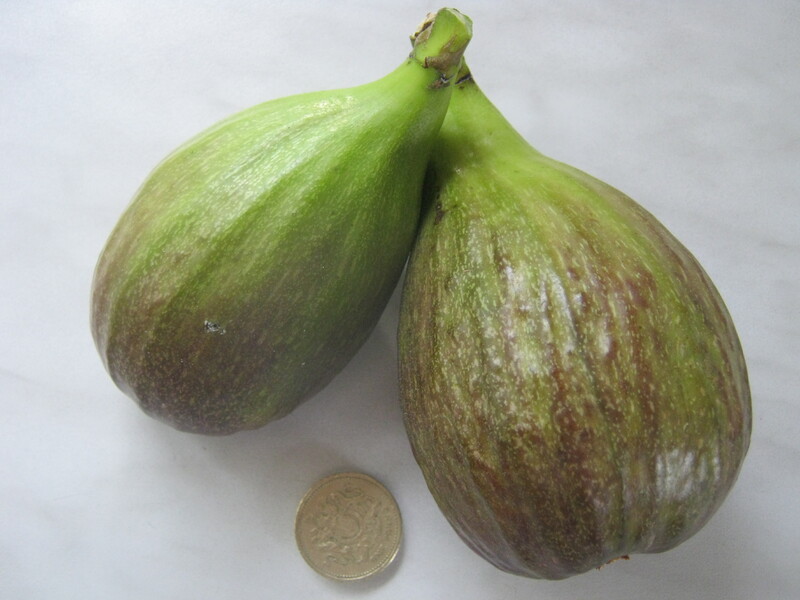 Last year we were picking kilos of figs but this year we have had but a handful. The tree has made far too much growth and now this needs to be addressed. Although looking very colourful the peony ‘Mollie the Witch’ didn’t set seed, usually I get lovely fat pods of shinny black seed. 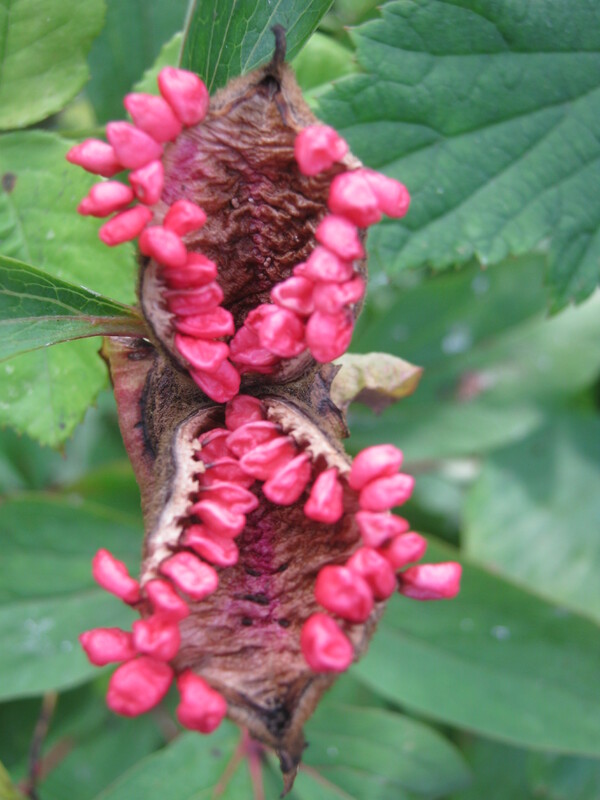 Still the pink infertile pod looks pretty. 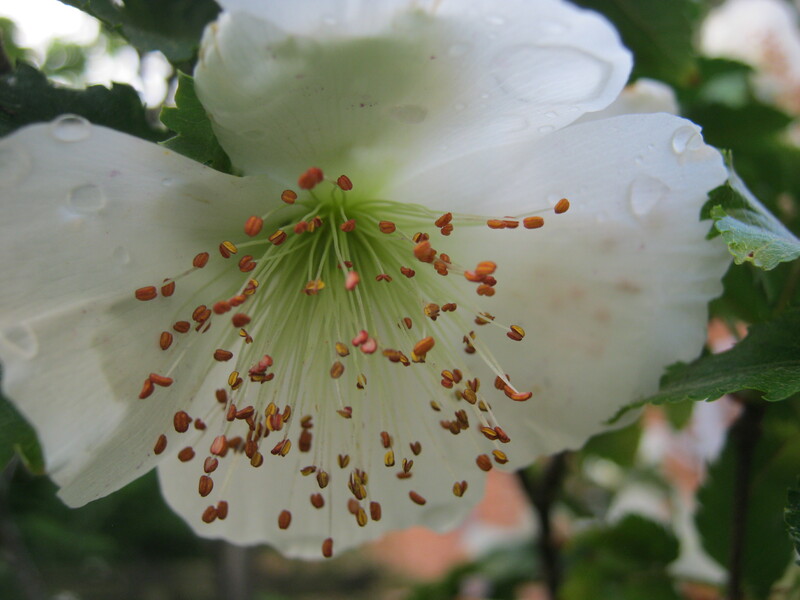 It’s not been all doom and gloom, the Eucryphia has flowered it’s socks off giving me the most sugary warm perfume as I walked past. 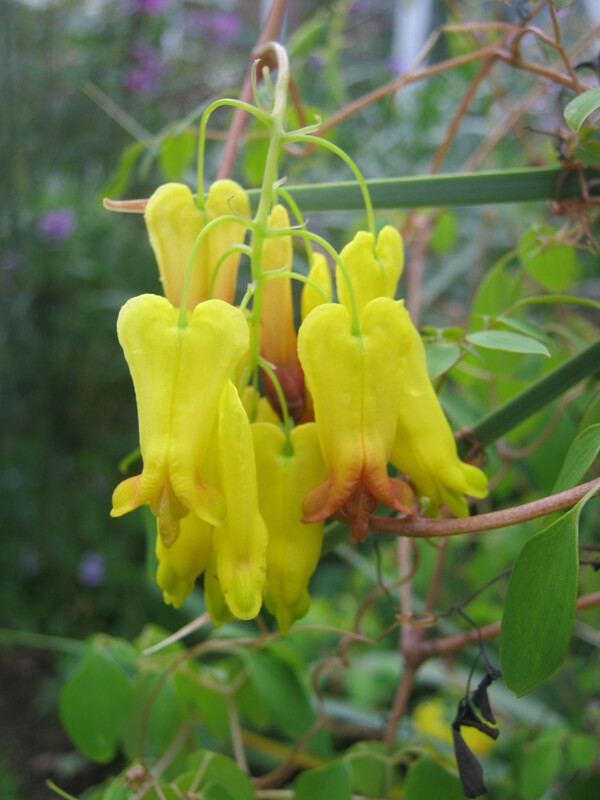 Dicentra Scandens, grown from seed this year, has given me 3 plants all flowering and setting seed . This is the first time I have manged to get plants to grow and to see what the seed pods look like. Early this year my sister in law Mary gave me a piece of her Hemerocallis ‘Court Magician’, not expecting it to flower this year I was surprised to get up one morning to find this. 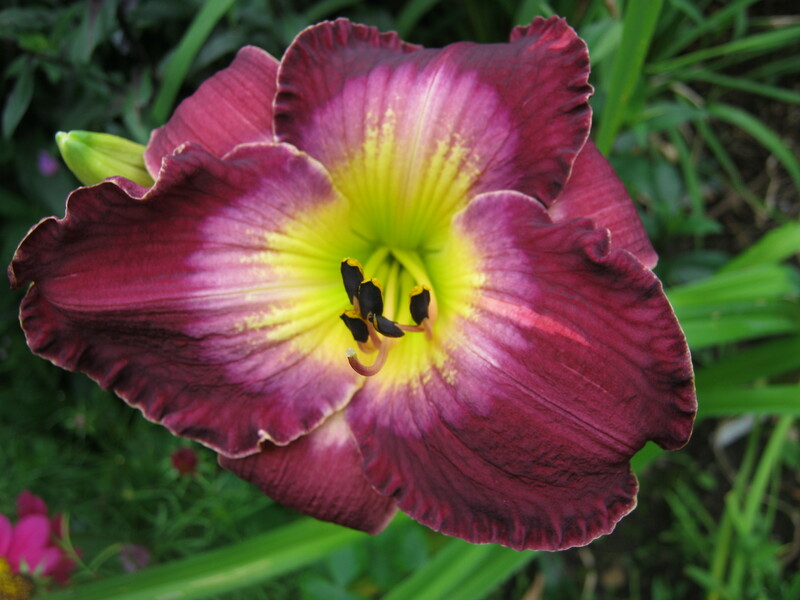 Quite an unusual colourway but one which will fit in nicely with maybe H ‘Gentle Shepherd’ and some low growing Dianthus…something for next year. 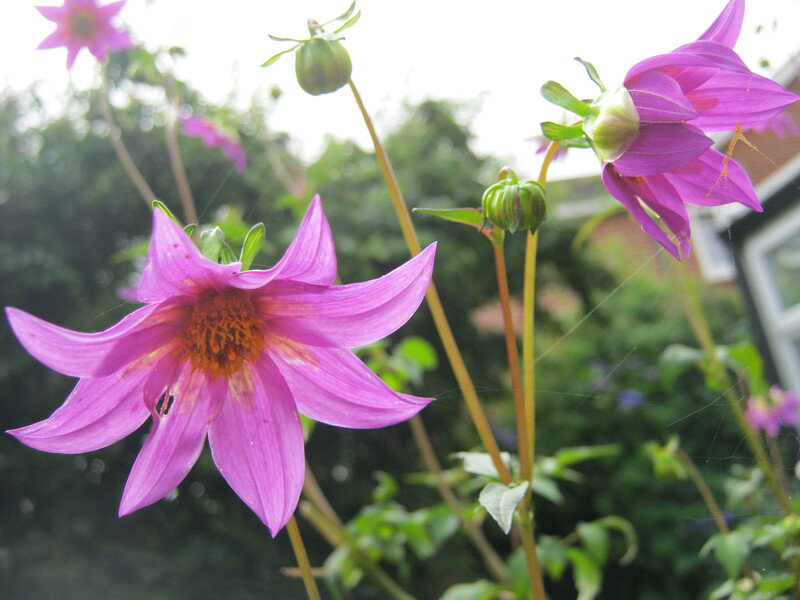 One plant that did sulk to start with this year is the Dahlia Purpssii, this doesn’t like too much heat or dry, so is now reaching it’s full potential, reaching 150 cms and nearly as wide covered with 8 cm single flowers that the insects love. And finally it really does pay to cut down some perennials to get a second flush of flower. 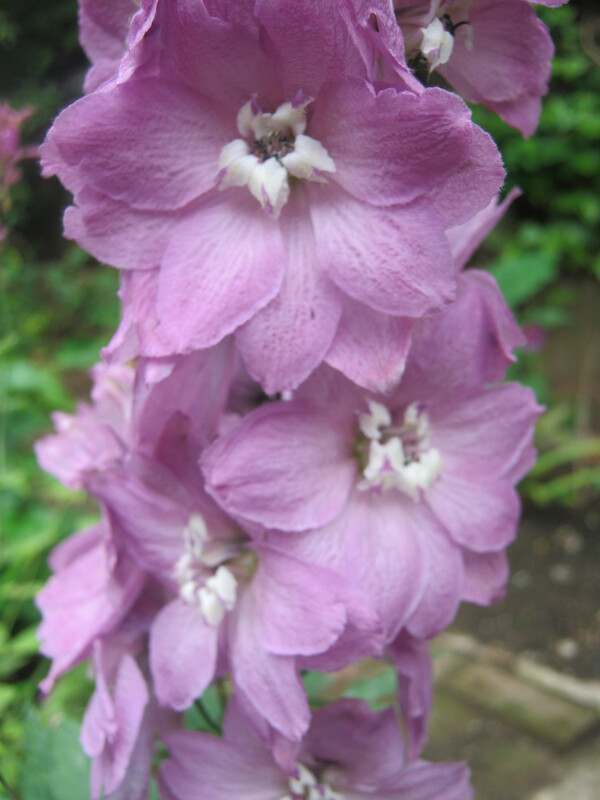 This is an unknown delphinium bought off the local market, always flowers beautifully and this year I did remember to cut it down and here it is blooming again…….and my favourite market stall has to be Stones on Victoria Market Nottingham. 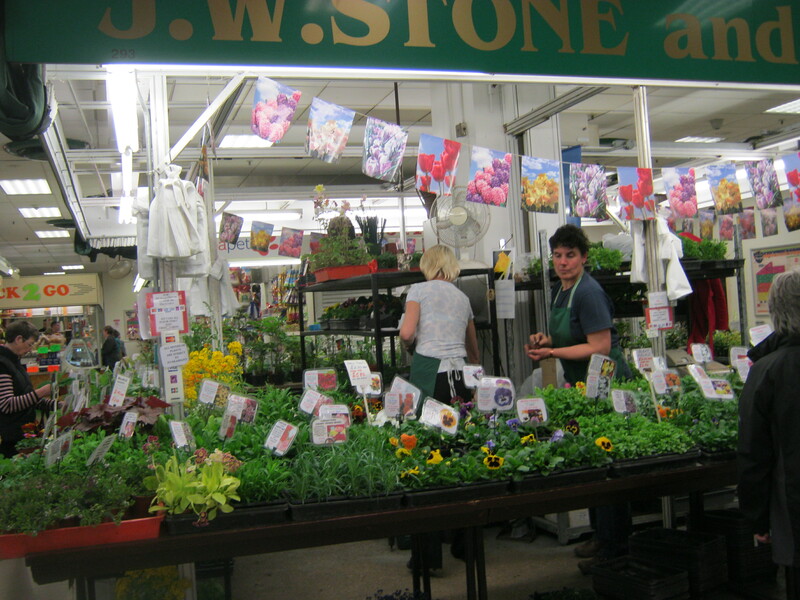 With permission from the family of Stones I am putting this picture on to show how colourful and stunning the stall is. Well it has been an awful day here, cold, wet, miserable, just the sort of day for surfing and playing. 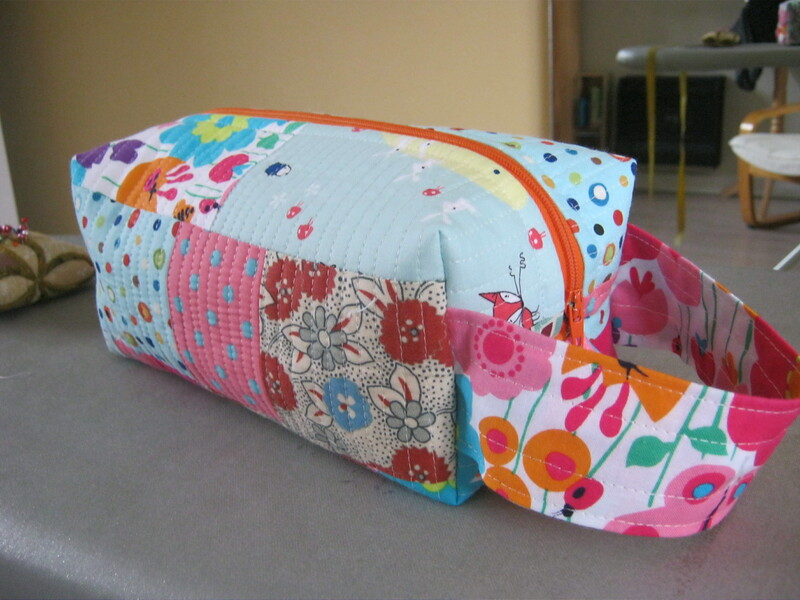 So I found a new site pinkstitches, she doesn’t seem to have posted a lot in the last few months but I did find a tutorial for a pouch. This is just what I needed to put make up and cleansers etc in when we go away. 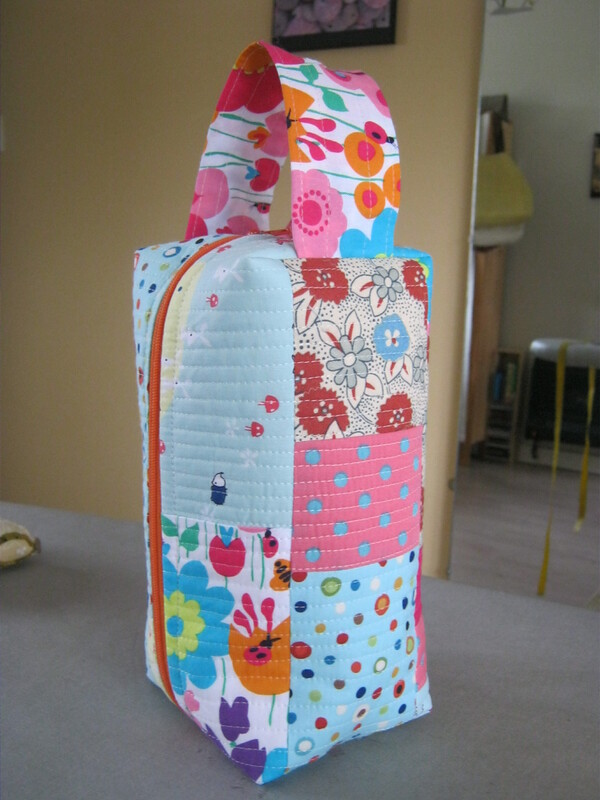 I made up a piece of patchwork and quilted it, the whole project start to finish 3 hours……finished measurements 22 x 11 cms. Talking of going away. We have just had a really lovely night away, in a hotel on the Nottingham University site. The Orchard Hotel and Conference Centre . If you look at the pictures on line it is a stunning contemporary 4 star hotel built to the highest ECO standards, set amongst the university’s extensive grounds and gardens, and all of this just 6 minutes car drive away from our house. It’s a shame it rained as we were going to walk around the grounds this morning, but hey we can take a walk another day, it being on our doorstep…..
Roses….Maybe time for a change….. ! As some of you know I have ( had ) a huge collection of roses. Ever since I started gardening seriously, about 30 years ago, I have had a passion for them. Collecting for type, colour or form or just for the name of them, the amount grew. But over the last few years we have had serious problems with Rose Sawfly. This infestation has decimated around half of my stock. I not only get one attack it is repeated several times in a season. So now I am wondering about a change, I have already taken out around 15 or so plants and destroyed them as they are getting weaker and weaker. One rose in question is Blue Moon. Not a favourite anyway, but a bit of a novelty, only having a few blooms and getting so eaten the appearance is dreadful. This particular bloom is held up with a cocktail stick and sellotape,the flies have laid their eggs on the stem and once hatched the stem has got so weak it hung down looking so forlorn I had to pick it for my Vase on Monday . Somebody finally decided he would like a ‘Man’ bag. With new phone, sunglasses,wallet and occasional brolly, how does a man carry all these things and not have bulging pockets. Solution = make him a nice leather bag. I found a scrap of dark brown leather left over from a previous project, all cut out now ready to go. 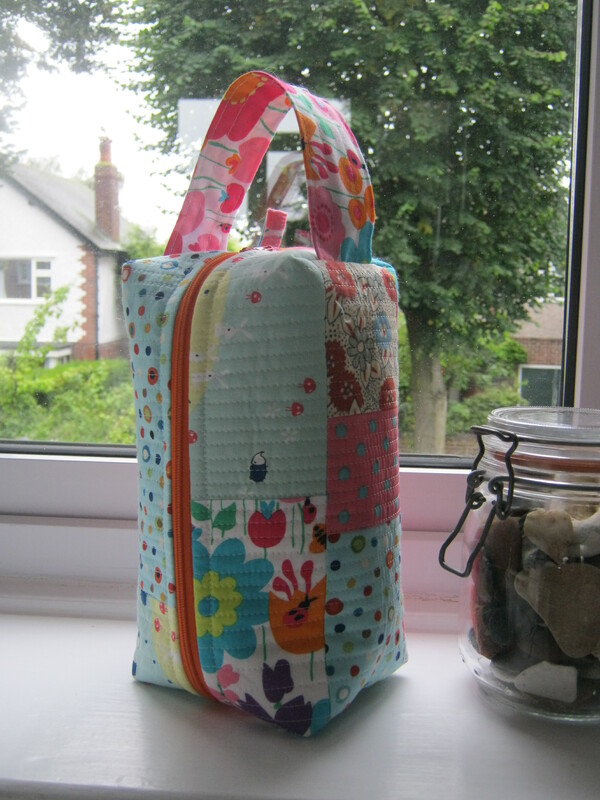 All ready for it’s first trip out……Enjoy Mr Malc…. A more delicate ‘Vase on Monday’ for me this week. With all the rain yesterday everything is looking a little sad but I have managed to rescue some lovely blooms of the rose ‘Princesse De Nassau’. Along with these we have some of the last Kipper Cream sweetpeas, Achillia ptarmica ‘The Pearl’, and the gorgeous Anemone ‘Pamina’ which compliment the soft pink buds of the rose perfectly. With thanks to Cathy from ‘Rambling in the Garden’ for idea for this post.